Situated in the Willowbridge Lifestyle Centre in the northern suburbs of Cape Town, this Hussar Grill is renowned for being one of the best restaurants in Durbanville. The restaurant’s interior takes its cue from the trademark Hussar Grill design – a traditional grill room combined with old-school dining. It offers a light and airy outdoor seating area overlooking the green belt of the Elsiekraal River. You can dine there al fresco style in warmer weather or you can enjoy the comfort and relaxed atmosphere of the indoor dining section. The Hussar Grill Willowbridge is situated close to the Barnyard Theatre and is therefore an ideal venue for pre or post-show dinner. 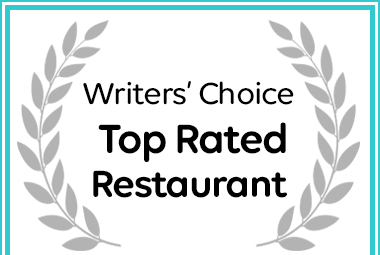 The Hussar Grill Willowbridge has been named a Top Rated Durbanville Restaurant. "Fantastic restaurant even for a vegetarian. Husband had best steak ever"
I would like to congratulate you on your excellent staff/service and amazing meal. We went to your restaurant on Valentines day. I was a bit nervous as I am a very new vegetarian and really did not know what I was going to eat. I spoke to the waiter and he reassured me that you do a vegetarian platter. Well it is one of my best meals I have ever eaten. It was filling and full of flavour. I was so full that my husband had my salad, with his delicious steak. It really was a fantastic experience. I will definitely go back, even though I don't eat meat. My husband will be happy. He loves Hussar. "Quality Experience at The Hussar Grill Willowbridge"
Friends of my husband and mine invited us to join them at The Hussar Grill Willowbridge to share in their 30th wedding anniversary celebrations. My first impression was that it was upmarket and friendly, and this impression held true the entire evening. Our waitron, Marshall, was attentive in an unobstrusive manner. I love to study menus of places I haven't been to before, and this menu had enough different offerings that I just want to go back and try all of it. The quality, presentation and temperature of the food was consistently great for all 6 of us at the table. I must recommend their "bitterballen", a Dutch delicacy that explodes with flavour and goodness. I had the ostrich fillet and it was so tender and flavourful with its sweet and piquant sauce (of which there was enough without creating a dam around the meat. My husband is not easy to please and he likes his food hot. I'm pleased to say, that even though all the food was brought to the table at the same time, no one complained of cold food. A bonus is that they do not charge corkage fee. The fact that the prices are slightly higher than other grills is more than offset by the entire experience. I am finding it difficult to fault them with anything, so I have to hand them full marks. I will definitely go back to The Hussar Grill. First time eating at any Hussar Grill and cannot understand why I have not eaten steak here earlier in my life - this is the best steak I have ever tasted, puts all other steak houses I have eaten to shame. Cooked to perfection. Service outstanding as well and I love that there is no corkage, time that other restaurants followed this fantastic chain of restaurants policy. I will be back to eat more steak. We recently visited Hussar Grill. As with our previous visit, was absolutely worth it!! Great atmosphere, wonderful pre-selection of steaks and then served, exactly as ordered!! Everybody that ordered steaks, were really impressed! I had the lamb chops and it was beautifully displayed and very, very tasty! No meal at this restaurant is complete, without the chocolate vodka! To die for...... Thank you for an amazing evening!